For pregnancy massage special go here. Want to learn how the pain relief works? Scroll down to the bottom. Pregnancy related Pelvic Girdle Pain (PGP) causes pain, instability and limitation of mobility and functioning in any of the three pelvic joints. PGP has a long history of recognition, mentioned by Hippocrates and later described in medical literature by Snelling. The affection appears to consist of relaxation of the pelvic articulations, becoming apparent suddenly after parturition or gradually during pregnancy and permitting a degree of mobility of the pelvic bones which effectively hinders locomotion and gives rise to the most peculiar and alarming sensations. 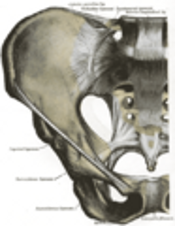 The pelvis is the largest bony part of the skeleton and contains three joints: the pubic symphysis, and two sacroiliac joints. 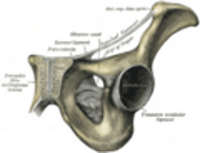 A highly durable network ofligaments surrounds these joints giving them tremendous strength. 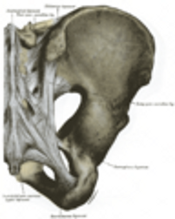 The pubic symphysis has a fibrocartilage joint which may contain a fluid filled cavity and is avascular; it is supported by the superior and arcuate ligaments. The sacroiliac joints are synovial, but their movement is restricted throughout life and they are progressively obliterated by adhesions. The nature of the bony pelvic ring with its three joints determines that no one joint can move independently of the other two. What Release the Pain does is to help the body release the fascia that's within the bones, organs, ligaments, joints, and more-that is causing the tightness and pain, stress, and suffering. During the session- gentle hand manipulation is used in specific areas, consciousness attention with the client is being taught, and energetic Chi activates in the process. This results in the profound relaxation for the client, and if the client is sensitive enough, she can feel the pain and stress moving on and leaving.